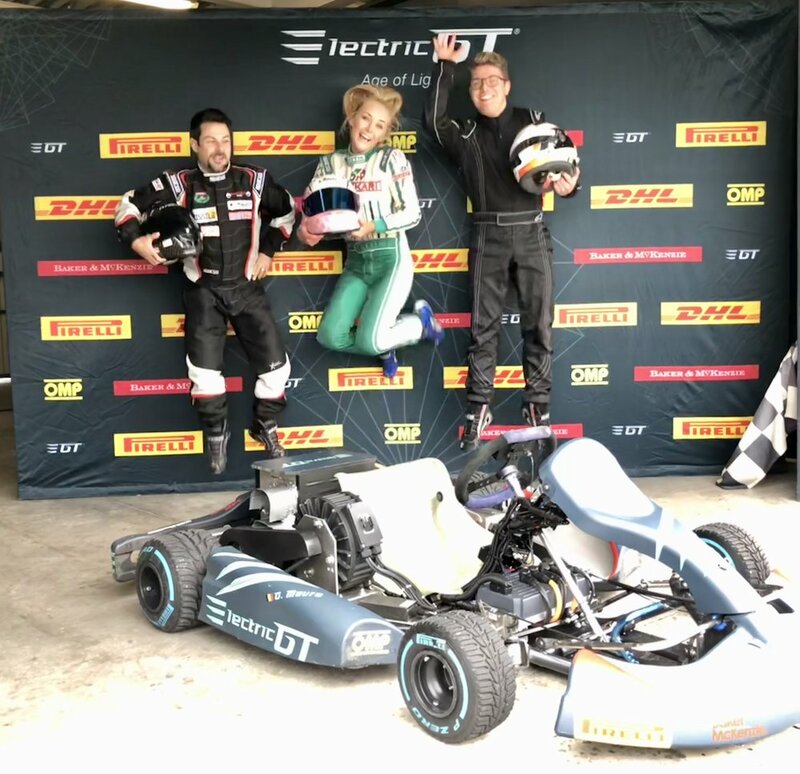 Stars of the Electric GT eKarting Drivers’ Club have completed the second official test of the championship’s lightweight 3.2Kwh eKart ahead of the inaugural season, commencing later this year. The test took place today at Motorland circuit in Spain under the supervision of Technical Director Agustin Payá. The test was completed by two young racers from the Electric GT eKarting Drivers’ Club. New to the club, Irish racer Aoife Melia got her first experience of the all-electric eKart while Frenchman Tom Turschwel returned for his second eKarting test. With mixed weather conditions, the test commenced on Pirelli full wet tyres before switching to the ultra soft slick compound in the afternoon as the track dried. Both drivers completed their test programme including high-speed laps in qualifying mode. Aoife Melia said:“The performance of the EGT eKart is just incredible. I am used to a traditional kart and this is quite simply another level. The acceleration and top speed is really impressive, especially in qualifying mode and I found I was able to carry more and more speed through the corners as the test continued. “We were nervous that it would stay wet all day but it was good to get some laps on the wet tyres. The afternoon session on fresh Pirelli super soft tyres was an experience I won’t forget. I’m excited to join the Drivers’ Club and proud to be the first female racer to join ahead of the first season." The EGT eKarting Series is a support category to the main Electric Production Car Series, which kicks off later this year. Comprising two categories - 'Teenagers 13-15-year-old' and 'Plus 15s’ - a grid of 20 young challengers will race the 50hp eKarts at speeds up to 150 kph on circuits around the world. The eKarting Series is designed to offer young drivers around the world experience of high-performance, all-electric racing machinery and provide a stepping stone to the main EPCS category which will see up to 20 drivers going wheel to wheel in the race-prepared Tesla Model S EGT P100D. Agustin Payá, Technical Director, Electric GT Holdings Inc. said: “Today has been a successful day for Electric GT Holdings as we prepare for our first season. We are very pleased to welcome Tom back for his second test and to welcome Aoife Melia, the first female racer to join the eKarting Drivers’ Club. Our championship encourages equality right from grassroots level. “Despite the mixed conditions, we completed our test programme, thanks to the excellent feedback from both our drivers. It has been beneficial to test the full wet tyres and the slick compounds. This latest generation of our eKart is exceeding our expectations in terms of exciting performance and we can’t wait to see a grid full of these karts charge into the first corner at our opening race of the season."